We look forward to providing the quality care you expect and deserve. Dr. Kwon performs highly advanced microsurgical and reconstructive procedures. "Dr. Kwon was excellent with my son and explained everything thoroughly." "You can't go wrong with having this doctor on your side." "Great work Team Kwon. Keep up the good and honest work you guys are doing." "Dr. Kwon is wonderful! I made sure to follow him to his new location- so worth it." "Love Dr. Kwon, he is very knowledgable, super nice, and a great surgeon." "Absolutely the best. His whole office staff is amazing." The more you rely on your hands, the more you should keep Robert K. Kwon, MD in mind at the first sign of trouble. Dr. Kwon, is a double board-certified hand surgeon at Southwest Hand and Microsurgery in Plano, Texas, specializing in hand trauma and reconstructive surgery. Originally from New Jersey, Dr. Kwon graduated with honors in biology from Stanford University in California before returning home to finish his medical degree from Rutgers New Jersey Medical School in Newark. He moved to Dallas to pursue his residency training in plastic surgery at the University of Texas Southwestern Medical Center before completing fellowship training in hand and microsurgery at the University of Pittsburgh Medical Center in Pennsylvania. Throughout his career, Dr. Kwon has had a particular interest in hand trauma and reconstruction. This area of focus includes replantation (reattachment), nerve repair and reconstruction, tendon and nerve transfers, and brachial plexus surgery. In addition to practicing at Southwest Hand and Microsurgery, Dr. Kwon also has privileges at several area hospitals, including Texas Health Presbyterian Hospital, Medical City Plano, Baylor Scott & White Medical Center, and Texas Health Center for Diagnostics & Surgery. Dr. Kwon also sees patients of all ages, including infants, at Medical City Dallas. When Dr. Kwon isn’t caring for his patients, he enjoys spending time with his wife and children at their West Plano home. He’s also an avid woodworker and furniture maker, though he tries to stick to hand tools. Dr. Kwon is board-certified by the American Board of Plastic Surgery with an additional subspecialty certification in hand surgery. He is not a cosmetic surgeon; he only performs reconstructive plastic surgery. Call or schedule an appointment online today. The portal facilitates better communication with your physician's office by providing convenient 24 x 7 access from the comfort and privacy of your own home or office. 99% of people that received shoulder surgery stated that they wished they had done it sooner! Certified Hand Therapists Provide Specialized Care and Rehabilitation following hand surgery. For any coverage related questions, please call our office! "Dr. Kwon is the best surgeon. He has a magical touch, is very friendly, and makes us feel at ease in his office. Very friendly staff, as well." "Best doctor ever. He did a fantastic job from beginning to end. I wish I could have him as my primary care doctor." "Dr. Kwon is amazing. He fixed my son's hand after a serious skateboarding injury. He is very professional and a good listener. Staff is very sweet and helpful as well." "Dr. Kwon is the most compassionate, friendly and caring doctor. He is very talented and very good at what he does. His office staff is also wonderful." "Dr. Kwon is the best and most skilled reconstructive surgeon. He is caring, compassionate and knowledgable. I would not want anyone else caring for my daughter." 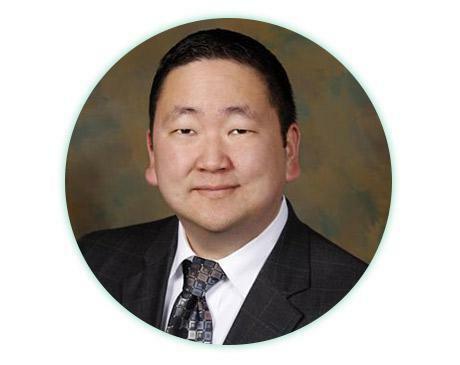 "Dr. Kwon is personable and keeps you relaxed. He is extremely intelligent and knows his stuff. He explained my options and the pros and cons of each."